Achluophobia is the fear of dark or darkness. A person with such a phobia can undergo Achluophobia - Fear of Darknesssignificant amount of psychological and physical distress. Just like any phobia, achluophobia too can hamper your skills or normal functioning ability and can interfere with your daily activities to varying degrees. Very common among children, fear of dark environments is also observed in adults (more in women than in men) to varying degrees. It can become a serious issue for some individuals, needing support and medical attention. Usually, children outgrow this fear as they mature and with an increase in age. But for some adults and children, the problem can resolve with family support or through professional help. Although exact causes of achluophobia are not yet clear, various treatments are available. Anti-anxiety medication may be prescribed for extreme cases of achluophobia. Symptoms can include physical and psychological changes. Suffering individuals can get mentally disturbed. An achluophobic person can feel great amount of panic in darkness as a result of negative thoughts and emotions. Affected person can also experience sleeplessness and there may also be a significant decrease in performance. A person may have experienced a situation of fear or trauma in the dark as a child or as an adult and this can act as the foundation for achluophobia. This can be visualized in a situation where a child or adult was frightened by someone in a place of darkness. This can leave a lingering fearful impression on the subconscious mind. When the fear of dark intensifies to such an extent that it disrupts an individual’s ability to function, there is a need to treat and manage achluophobia. Talking to a physician who may refer the affected individual to a therapist specializing in treating phobias is a good step. A talk therapy can assist the affected person to learn, identify & control their phobia. Getting in touch with support groups that include people also trying to cope with this phobia can help a lot. 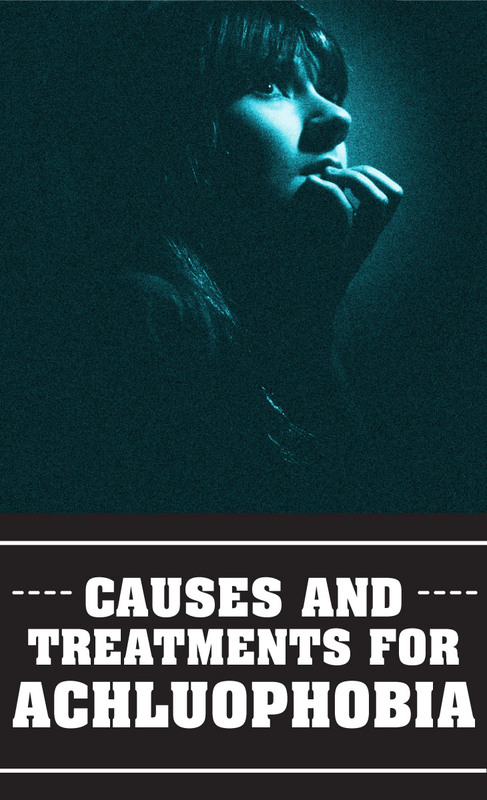 Cognitive behavioral therapy or exposure therapy is also considered to be effective in treatments of achluophobia. Relaxation techniques are also known to give good relief to people with achluophobia as they help in effective management of the disease.